Home > iTravel Magazine > Maccabiah 2017: Museum Admission Discounts! Part of the Maccabiah games is experiencing the unique historical attractions and institutions that Jerusalem and Israel have to offer. One often overlooked aspect of Jerusalem is the eclectic tapestry of museums ranging from the massive Israel Museum to charming and interesting niche museums like the Bible Lands Museum, LA Mayer Museum for Islamic Art, Bloomfield Science Museum and Hebrew Music Museum, to name just a few. The Ramparts Walk is a wonderful way to do some serious sightseeing in Jerusalem. There are two types of walks: The Northern Rampart’s Walk and the Southern Ramparts Walk. It’s a great chance to experience Jerusalem from above, stroll along the clear distinction between the Old City and the new and modern Jerusalem, and view the most breathtaking sights. Note that the Ramparts Walk is not accessible to strollers and needs to be booked in advance. Remember to bring comfortable shoes, a bottle of water, and a hat. Visit the national heritage site of the Tower of David – a magnificently restored ancient citadel and one of Jerusalem’s most recognizable sites. With a treasure trove of archaeology dating back to the time of the First Temple close to 2800 years ago, the Museum shows the time line of Jerusalem’s history within the guard rooms of the fortress. If that’s not enough, enjoy the stunning panoramic view of Jerusalem from the top of the towers while you’re there! Guided English Tours – The Tower of David guided tours are included in your admission fee, but keep in mind that due to the popularity of this site, advance registration is recommended. Tours are given Sun-Thurs. at 11 am. Guided Tours of Herod’s Palace – King Herod is known for his architectural contribution to Jerusalem. Climb his Tower, through the palace complex and discover the foundations of his unique palace. The tours are included in the admission fee and you can join them every Friday at 10 am. Again, it is better to register in advance. Castle Madness – A Roman Adventure – Discover the fascinating and multifaceted character of King Herod. Advance registration. The Amazing Race – Bring the entire family and enjoy in challenging activities throughout the citadel. Note that a minimum number of participants and advance booking are required. The Lion and the Olive Tree – Join an educational activity for the whole family at the Tower of David Museum and discover the history to Jerusalem’s city emblem. Note that a minimum number of participants and advance booking are required. Combined Ticket to the Tower of David Museum and the Ramparts Walk – Kill two birds with one stone and get the combined ticket to cover the Old City Walls at once. The NIght Spectacular – An amazing audio-visual show which takes advantage of the ancient beauty of the Tower of David and combines modern technology with history to create a nothing less than a spectacular sound and light experience as the story of Jerusalem unfolds in breathtaking images on the ancient citadel walls. Make sure you book in advance. Saturdays – 9 pm and 10 pm. Explore ancient times and secret buildings at the most mysterious cave in Jerusalem which spreads over about 9000 square-meters beneath the Old City. Back in the days of King Solomon, Zedekiah’s Cave used to serve as a quarry for the massive stones of the Temple. Opening times: Sun-Thurs: 9 am – 4 pm. Come see the JerusaLENS! The Amuunition Hill is a memorial site commemorating the soldiers of the Six-Day War. A new exhibition in the place showcases 100 photographs that were submitted to a photo challenge and taken by Jerusalem lovers from all around the world. The Archaeological Park and Davidson Center are home to some of the most intriguing and important archaeological finds from the Second Temple period. You will find the ancient city wall, the Temple’s staircase, a preserved ancient street, ritual immersion baths, and stores. If you are science enthusiasts, or just looking for a great place to take your children to, check out the Bloomfield Science Museum. A variety of workshops, shows, and guided tours with an emphasis on ecology are given daily at the museum. There is also a 3D movie that you can watch for an additional cost of 10 ILS. Note that the museum in closed on Sundays. 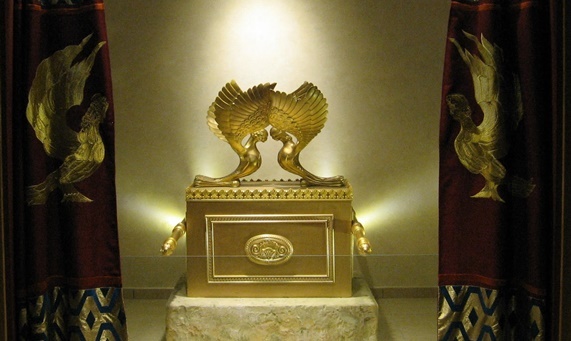 Visit the Wohl Museum of Archaelogy and discover what it meant to be rich and famous, back in the Second Temple period. The Hurva synagogue was first built in 1864 and later destroyed during Israel’s War of Independence in 1948, and finally reconstructed and reopen just a few years ago. This synagogue is a symbol to the proud Jewish settlement in the Old City that was committed to establish a Jewish community in the city against all odds. Music has its own unique way of telling the story of a certain culture – this is the musical story of the Hebrew people. At the Hebrew Music Museum, you will explore antique collections of musical instruments from all around the world; learn about preservation techniques and the art of transmitting music from generation to generation; and discover the Jewish heritage through its sounds. Get a discounted admission to all displayed exhibitions at the Bible Lands Museum Jerusalem. Also, note that your ticket includes a 10:30 am guided tour in English on Sun.-Fri. so make sure you arrive early. Cost: 32 ILS 16:00-21:30 and Sat. 10:00-14:00 with self activities. Housed in a 500-year-old beautiful building, the Old Yishuv Court Museum offers a look into the everyday lives of the members of the old Jewish settlement in the Old City. You will see newlywed photo-shoots, original Zionist propaganda wall posters called “Pashkevil”, and the even the tools of a standard shoemaker of the time. Tour: The Old Yishuv Museum, the alleyways of the Jewish Quarter and the Balabusta kitchen. Biblical Jerusalem – Get introduced to ancient Jerusalem by discover the original locations from the Biblical stories and following in the footsteps of kings and prophets. Where & When: Tours leave daily from The First Station at 10 am and 2 pm. From the City of David to the Western Wall – This new tour will take you back to the Second Temple period where you will walk in the footsteps of Jewish pilgrims and experience the true meaning of the pilgrimage journey. Where & When: Tours leave daily from The First Station at 11 am. Segway Tour around Jerusalem – a modern and fun way of experiencing sightseeing in Jerusalem. Join this Segway tour and ride through a beautiful forest located at the heart of Jerusalem. Cost: 155 ILS (instead of 210 ILS). Book online to get the special price – click here. The Emek Tzurim Sifting Project – Do you think you’ve got what it takes to become an archaeologist for a day and save important artifacts from the Temple Mount? Come and take part in an exciting archaeological project! “Hallelujah” – The New City of David Night Show – Watch a unique audio-visual display which reveals the story of ancient Jerusalem projected on the ruins of the City of David. When: Sun-Thurs: 8:15 pm – 9:45 pm. Advance booking is required on Saturday nights. The Jerusalem Time Elevator offers a 2D journey into the deepest secrets of the city. An innovative multi-sensory adventure! Advance registration is required. Tickets include the “Time Elevator Jerusalem” film or the “I am Jerusalem” film. The Menachem Begin Heritage Center offers museum guided tours (with advanced notice) that will take you on a fascinating audio-visual journey into the life of one of Israel’s most inspiring leaders – Menachem Begin. Tours are available in Hebrew with simultaneous translation to Spanish, English, Portuguese, French, Russian and Arabic. The Friends of Zion Museum presents another layer in the Zionist story and brings the heroic stories of the non-Jewish friends of Israel that stood by the Jewish people and supported Zionism throughout history. Join us for a one-hour tour and a unique multisensory interactive experience, found nowhere else in the nation! The museum exhibits, combine 3D technology, touch screens and more while combining unique and advanced elements, Accompanied by a moving original musical score that was developed especially for the museum. The tour is offered in 16 different languages including Spanish, Portuguese, Russian and many more! Opening hours: Sunday – Thursday 9:30 Am – 8:45 PM. Friday: 9:30 AM -2:00 PM. Saturday 10:00 AM – 6 PM. Tours must be booked in advance. Your visit to Jerusalem will not be completed until you see the Israel Museum. Luckily, the museum has decided to give special discounts on entry tickets to Maccabiah’s participants. Your ticket will include free guided tours in English, French or Spanish. Moreover, participants get discounts on tickets to the “Live at the Museum” summer concerts which will be held during the days of the Maccabiah Games. Museum Admission: 46 ILS (Adult); children can enter for free on Tuesdays and Saturdays. Get special Maccabiah discounts to the Jerusalem Film Festival which will be held on July 13-23 in Jerusalem Cinemateque. *validation of promo codes will be available on the festival’s website from June 30, 2017. Found six meters below street level, this house is a symbol of the Roman destruction of Jerusalem. This house is believed to be set on fire by the Romans when they stormed the upper city of Jerusalem. The artifacts found in The Burnt House tell the story of the Katros’ family, one of the wealthiest Jewish families at the time. The place showcases a collection of artifacts from the Second Temple period. The Chain of Generations will tell you the story of the Jewish people through a fascinating multimedia show which combines music, sculpture, archaeology and light and sound effects. Advance registration is required and admission includes a guided tour. Take a free tour in English around The National Library and see the world’s largest collection of Jewish and Israeli music, the world-leading collection of antique maps of Jerusalem and the Holy land, and a great variety of exhibitions with treasures from the library’s many collections. While you’re there, check out the Digital Library and get access to rare manuscripts, newspapers, and photographs. .
Visit the Temple Institute and understand once and for all the story of the Holy Temple. Discover reconstructed vessels from the Holy Temple, priestly garments, original oil paintings, a model of the Second Temple and more! Audio tours are available in several languages. Remember Shakespeare’s The Merchant of Venice? The Umberto Nahon Museum of Italian Jewish Art invites the Maccabiah’s participants to explore the heritage of Jewish Venice and understand the true meaning of a Jewish ghetto. Did you know that the Western Wall is actually much longer than what we see? Take this tour and explore a whole new world of 485 Western Wall meters underground! Advance registration is required by phone only.